Noguchi Cyclone Side Table (msdsfncst) at Pure Design Kids / Tables and Desks / Tables ::: Kids' Toys, Furniture and More at Pure Design Kids! 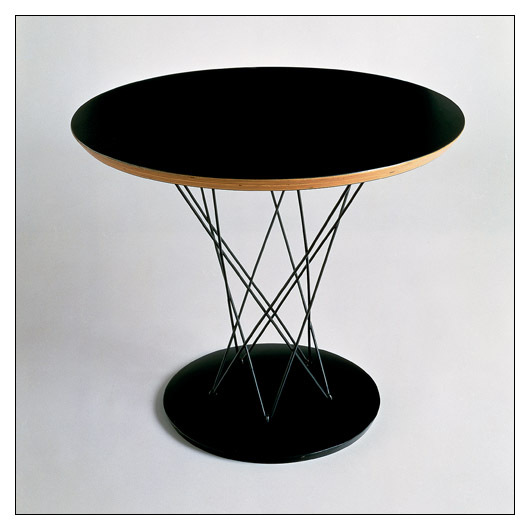 First manufactured in 1954, Noguchi designed these tables in varying sizes, and later evolved into a table that became a companion piece to the Bertoia wire children's chair. Now perfectly suited for mini with a laminate top and super sturdy base it can last for years to come. Side tables stand 20" high with a width of 24"
Please allow 6 additional weeks for delivery. Since all Knoll products are Made-to-Order, all sales of this item are final. Your credit card will be billed as soon as we get confirmation from Knoll that your order has gone into production. "Lower 48" USA sales only.